Lieuts. Kelly and Ellington Are Killed at San Diego, Making Death List For Army and Navy Fifteen. In Aviation Accidents of All Kinds the World Over 368 Persons Have Been Killed Since 1908. San Diego, Cal., Nov. 24.- Two intrepid navigators of the air, Lieutenants Hugh M. Kelly and Eric L. Ellington, U. S. A., attached to the First aero corps, were instantly killed at the North island army school when they fell from an altitude of eighty or more feet in a dual control biplane. Within eight minutes after Lieutenant Ellington had waved his hand as a signal to the mechanicians to let go the biplane, the army aviator and his brother officer were dead. Lieutenant Ellington, a skilful pilot, occupied the instructor's seat in the biplane with Lieutenant Kelly at his side. The latter, a comparative novice in the art of flying, was receiving instructions in the handling of the control levers. Owing to the general arrangement of the controlling wires, Lieutenant Ellington would be at all times absolute master of the machine. The engine, one of six cylinders and 60-horsepower, was working perfectly and the two officers ascended to a height of 300 feet, circled and then began a volplane which was to have brought them back to the hangars. According to Captain Cowan, in command of the aviation post, the biplane glided at a normal angle for about 200 feet. Then the engine, which was throttled at the beginning of the volplane, was thrown open. Whether at this instant the aeroplanists temporarily lost control of the machine, or the initial impetus of the revolving propeller when the biplane was at so low an altitude, caused the machine to tip forward, can only be conjectured. But the spectators of the flight say the biplane suddenly pitched forward, nose downward, and shot to the earth. The impact probably killed both men, but the motor made death sure by crushing them. Kelly was first lieutenant in the Twenty-sixth infantry, and Ellington first lieutenant in the Third cavalry, U. S. A. Sketch of Lieut. Kelly. Louisville, Ky., Nov. 24.- Lieutenant Hugh M. Kelly, killed in an aeroplane accident today was a native of Louisville. He had been commandant at the state university. He was a son of Colonel R. M. Kelly, who was well known for many years as editor of the Louisville Commercial. Sketch of Ellington. Raleigh, N.C., Nov. 24.- Lieut. Eric L. Ellington, killed today in San Diego, Ca., was the son of T. Ellington, formerly sheriff of Johnston county, and was born in Clayton, N.C., in 1887. He entered the naval academy at the age of sixteen and graduated in 1907, standing seventh in a class of three hundred. In 1909 he was transferred from the United States navy to the army by executive order of President Taft. He is survived by two brothers, Douglas Ellington, now in Paris, and Kenneth Ellington, of Johnston county. Lieutenant Thomas H. Selfridge, signal corps, September 17, 1908, at Fort Myer, Va., in flight with Orville Wright; Selfridge instantly killed; Wright seriously injured. Lieutenant George M. Kelly, San Antonio, Texas, May 10, 1911. Lieutenant Leighton W. Hazelhurst, Jr., Seventh infantry, and A. Welsh, instructor army aviation school, College Park, Md., June 11, 1912. 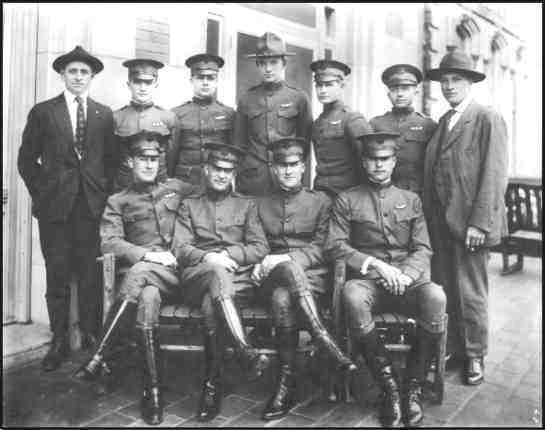 Paul Peck, instructor army aviation school, Chicago, September 11, 1912. Lieutenant Lewis C. Rockwell and Corporal Frank Scott, College Park, Md., September 28, 1912. Lieutenant Rex Chandler, coast artillery corps, April 8, 1913, whose hydro-aeroplane plunged into San Diego bay. Lieutenant Joseph P. Park, May 10, 1913, Olive, Ca. Ensign William D. Billingsley, June 20, 1913. Killed by fall into Chesapeake bay. Lieutenant Loren H. Call, July 8th, 1913, near Texas City, Texas. Lieutenant Moss Lee Love, signal corps, San Diego, Cal., September 4th, 1913. Second Lieutenant C. Perry Rich, Philippine scouts, killed by fall of hydro-aeroplane into Manila bay, November 14, 1913. Lieutenants Kelly and Ellington, San Diego, Cal., November 24, 1913. Seven Have Been Killed This Year Washington, Nov. 24.- The deaths of Lieutenants Ellington and Kelly today makes a total of fifteen fatalities in the government service, fourteen in the army and one in the navy, since experiments first began at Fort Myer in 1908. Seven have met death this year. In aviation accidents of all kinds the world over, 368 persons have met death, this year's numbering 197. Both aviators were single. Lieutenant Ellington was born in North Carolina in 1889, and his next of kin is a brother, J. O. Ellington, of Raleigh. He was detailed to the aviation service in September 1912, and has seen service on aviation fields at Marblehead, Mass., College Park, Md., Palm Beach, Fla., and Texas City. He went to San Diego last June. Lieutenant Kelly, a Kentuckian, was detailed to the aeronautics division last March, and has been at Texas City and San Diego. ONLINE RESOURCES If you search for "Lt. Hugh M. Kelly", using the Google search engine, (9-14-07), you will find about four links, one of which offers a comprehensive biography of him..
Lt. Hugh Marsh Kelly was born in March 1881 in Louisville, Kentucky. Kelly was the son of Colonel R.M. Kelly, a Unionist who joined the U.S. Army during the Civil War. After the war, Hugh trained as a journalist and became a successful newspaperman. He enjoyed writing for both scholarly and popular audiences, and his commentaries on politics and military affairs were widely sought after by the mainstream press. Kelly was also an accomplished artist and illustrator, whose sketches and cartoons were often published in regional newspapers. When problems in Mexico arose, Lt. Kelly was reassigned to the U.S. 26th Infantry Regiment. When Kelly arrived at the headquarters of the U.S. 26th Infantry he was ordered to aeronautical duty. Many of Kelly�s friends and relatives spoke of his desire to become a pilot because of his interest in engineering. Lt. Kelly served with the 1st Aero Squadron at Texas City, Texas, and San Diego, California. You will need the Acrobat Reader to view the entire article and you may want to use the FIND function on "Kelly" to locate the entry. "Clayton�s own Lt. Eric L. Ellington is a part of the the North Carolina Museum of History�s exhibit �Pioneers of Aviation,� which runs through May 2005. The exhibit honors those brave men and women from North Carolina who contributed to the development of modern air flight � from Kitty Hawk to the space program. It is one of many North Carolina exhibits honoring the first century of flight, heralded by Wilber and Orville Wright�s historic flight over Kitty Hawk in 1903. Prominent among those being exhibited is Ellington, who died in a military plane accident only 10 years after man took to the skies. Ellington was a member of the U.S. Aero Squadron, the predecessor to the Air Force. He was killed in a plane crash in San Diego on Nov. 24, 1913. " To read the rest of this very informative article, you can access it by clicking on the title above. HISTORY OF ELLINGTON FIELD This page was recommended to me by Craig Roberts, the Facility Safety Officer at the Houston AASF. On the Houston Airport Systems website is offered a very nice revue of the development of Ellington field, named after Lt. Eric L. Ellington. It is from this page that the portrait which is found at the top of the page has been taken. You can access the page by clicking on the title above. ELLINGTON FIELD - 1917 The photograph above comes from the collection of my father-in-law, Walter E. Lees, and shows him as one of the two instructors of the first class at Ellington Field. You can read the whole story by clicking on the title above. I have written a history of Ellington Field, Texas and have been searching for some time for the original oil portrait painted of him in the 1940's by Emma Richardson Cherry. It hung at Ellington Field until at least 1964, but none of the historians, libraries, or archives here know where it went. I wondered if it might have made its way back to Clayton, when the base was closed in 1974. At this point, even an image of the portrait would help. Editor's Note: If you can help Kathryn, you can contact her at her email. The author is also offering signed copies if you wish. Kathryn is a working historian and researcher. 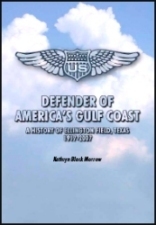 Since 2006, she has published the Guide to the Texas Slave Trade Series, 1818-1886, based on original documents at Texas Southern University, Southeast Texas Colored Voter Registration Lists, 1867-1869, Black Soldiers in Texas During World War II; the 79th Aviation Squadron, Ellington Field, Texas, and other conference papers, short stories, and poems..
Kathryn is a native Texan, born in the Garden Oaks subdivision in Houston. She was the youngest child of an Air Force officer who served at Ellington Field in the early 1950's. She began her career as a professional historical and genealogical researcher at the North Carolina Department of Archives and History in Raleigh, North Carolina and as a teacher of family history and research methods at the Coastal Carolina Community College. She now has forty years of experience in academic research, family research and historical documentation. Kathryn and her husband Michael live in Clear Lake, and have four children and nine grandchildren scattered across the United States.
" Lt. Hugh M. Kelly was killed in a plane crash in San Diego on Nov. 24, 1913. "